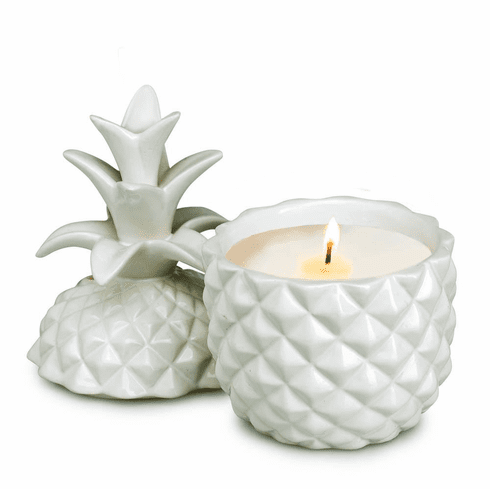 This 6 oz Pina Colada scented white ceramic pineapple candle offers a beautiful and elegant way to bring tropical fusion into any home. 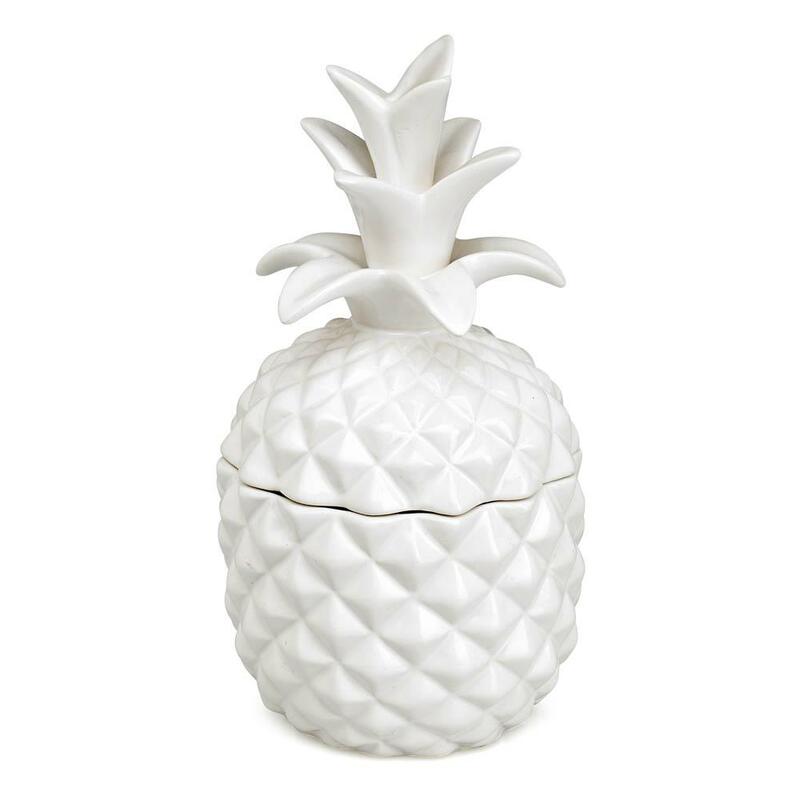 The scent opens with fresh pineapple which is blended to perfection with creamy coconut and rum. 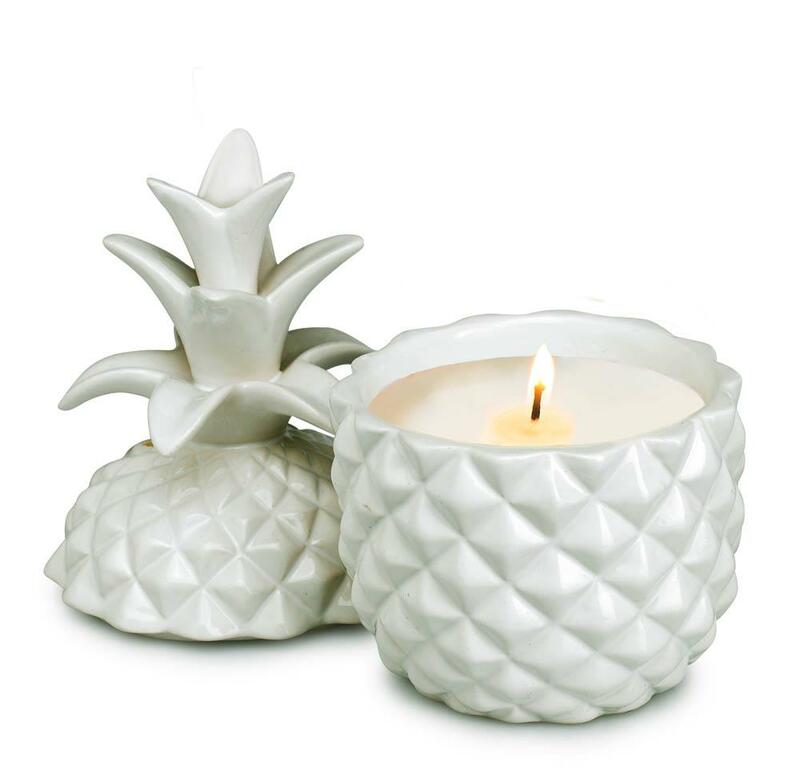 Sweet vanilla and nuances of banana are harmonized with galbanum and white musk to result in an intoxicating scent. Weight 1.2 pounds. 3.5" x 3.5" x 7", Ceramic, Soy Blended Wax. 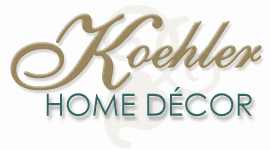 UPC Number: 843730075425.